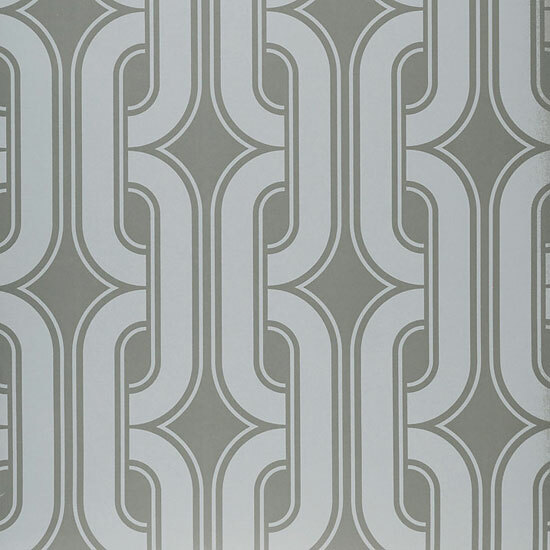 David Hicks comes to mind when we see this 1970s Lavaliers wallpaper reissued by the Little Greene Paint Company But this is actually a French design. 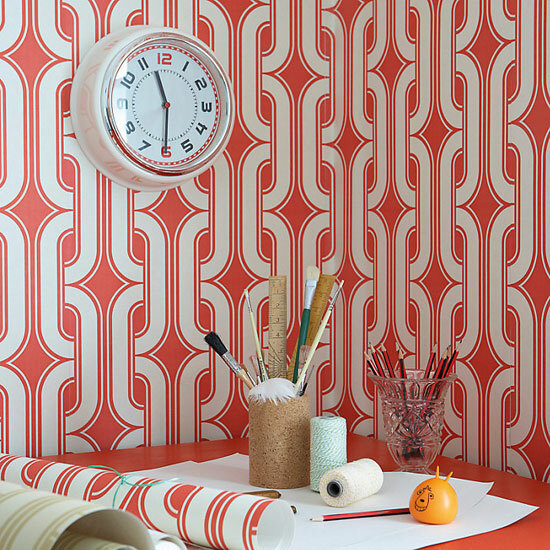 According to Little Greene, two colourways of this paper were discovered in a French wallpaper book back in 1975. 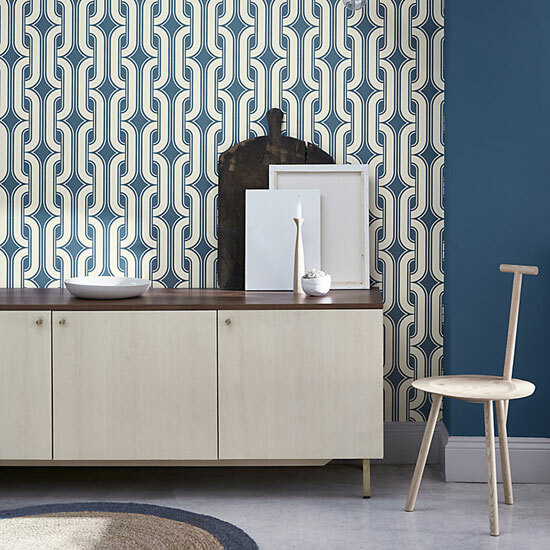 But as a bonus, Little Greene has reworked it into four shades, going by the names Atomic, Low Wave, Cinder and Viridian. Or orange, blue, black and grey if you prefer. 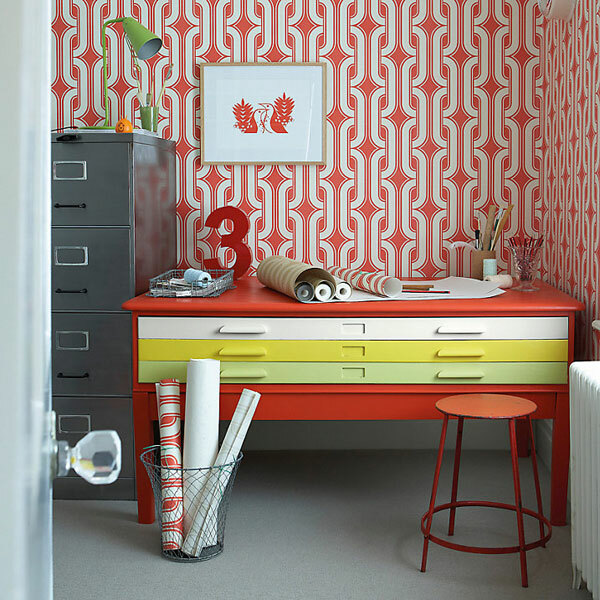 If you are going down the 1970s route, it really is all about bold and this offers that n terms of the wonderful geometric / interlocking design and the colours. If it works for you, a 10m roll sells for £64.